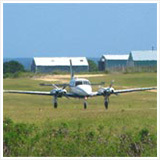 Exploring Anguilla is without a doubt the best way to get to know the island. You may bump in to nice people you wouldn't have met and you will see the wondrous differences this small island holds from East to West, North and South. It can be a very entertaining way to spend the day, so long as your spirit is somewhat adventurous. 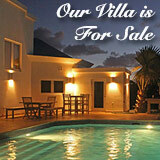 Otherwise, many are just as happy lounging by their Anguilla hotel or villa or staying put on the beach. That's a nice way to vacation yet when you explore, you get the best of everything. Not only can you work up a little sweat if you choose to maneuver around rocks or hills, you can relax when you need to and enjoy the beach too, depending on where you go. 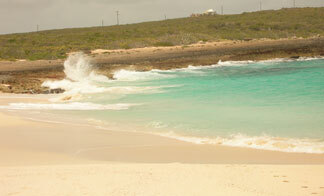 Keep in mind Anguilla does have 33 beaches, so when you explore you are bound to come across a couple of them! 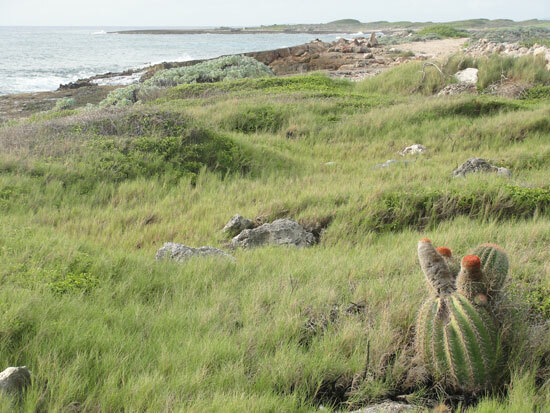 As small as Anguilla is, you could easily spend the better part of a day just in one area of the island, exploring. This brings us to the Best Of Exploring Anguilla. 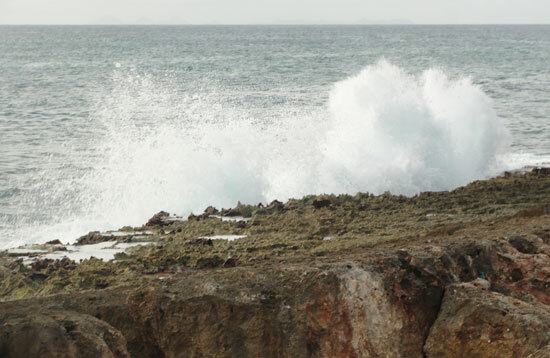 Here's a loose itinerary for experiencing one of Anguilla's "best of" days for exploration. It expands on Itinerary #1: The East End. Visit that link for a full map, too. Now, let's head to the wild, wild East! Start the day in a rewarding way. 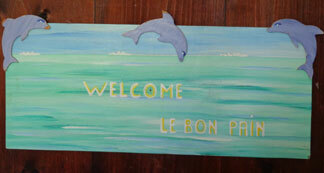 Get up in the early to mid-morning hours and get yourself to Le Bon Pan in Island Harbour for breakfast. 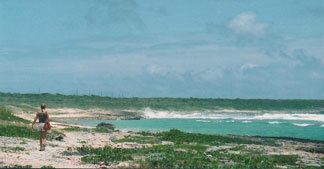 Island Harbour is Anguilla's eastern most seaside village on the north side of the island. Le Bon Pain is a modest yet coveted establishment with truly scrumptious croissants and baguettes and it is open early. If you need protein in your breakfast mix, grab a piece of quiche too - all are tasty. There's quaint seating just outside of Le Bon Pan and it's all you need to enjoy the morning before you start moving those bones. Tip: Be sure to load up with a couple of bottles of water so you can stay hydrated as you head more eastward where you will not find any further businesses to replenish yourself until you reach Junks Hole on the Southern side of the Eastern end. 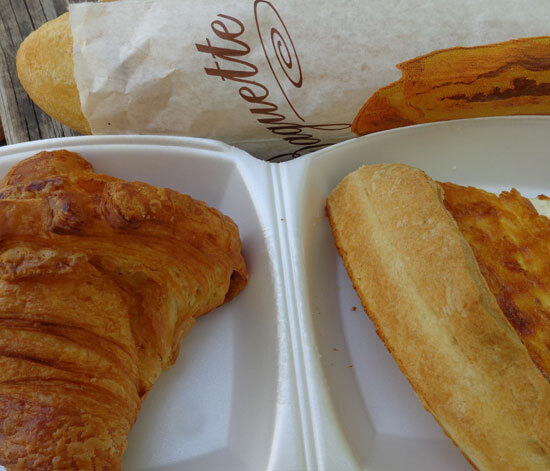 When you leave Le Bon Pain, take a right. Next stop, Captains Bay! Follow the road through the village of Island Harbour, up the hill and straight on to Harbour Ridge Road where things get a little more natural. Don't let the somewhat rocky, dirt road frighten you back... there are multi-million dollar homes along this road. 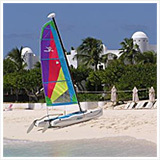 Remember, you are in amazing Anguilla in the Caribbean and it's part of the fun. 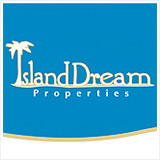 Look for signs for Desert Rose villa and you will be headed in the right direction to get to Captains Bay! When you reach Desert Rose Villa on the left, take a right. It won't look like an obvious right as this is where the road gets more rugged. Sidenote: Regarding vehicles. For this day of exploration, ideally you are using an SUV due to the hilly, rocky roads. I have easily navigated the bumpy, sandy Junks Hole access roads in a small car but I have not tried the remainder of the East in a car. Hopefully some fellow explorers will leave comments about their Eastern exploration experiences at the bottom of this page. Otherwise, as it stands in 2013, I recommend using an SUV. 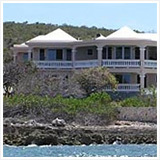 Captains Bay is home to home to Exclusivity Villa and a very secluded, untamed and beautiful beach. Getting to Captains Bay is not easy to explain, in my opinion. 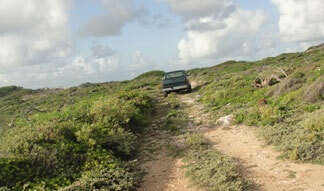 When I've explored this end of Anguilla, I feel my way through and use some instinct. There are a network of dirt to rocky roads that cover the eastern end of the island. In some parts the bush is low so you can see other roads and where they may lead. Therefore, in some cases there are no wrong ways. There might be an instance where a road just stops or is blocked with rocks. That's a simple fix, just back up and try the next one that looks like a good one! Again, it's a part of the fun. The first time I drove to Captains Bay, I saw it from a higher elevation from a distance and then weaved my way there in a car. I had seen pictures of it, so I knew what I was looking for. Captains Bay seen from the very end of Harbour Ridge Rd. Every time I've arrived to Captains Bay I end up being parked behind what's almost the center of the bay. 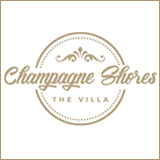 Exclusivity will be on the right as you approach the beach. 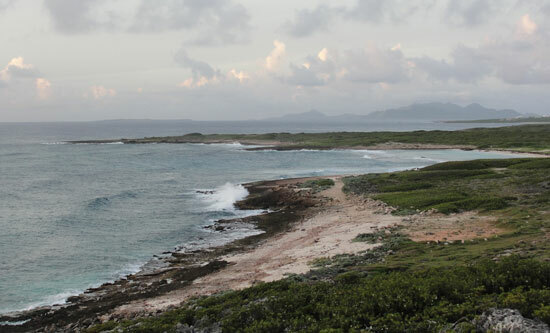 Regarding the beach... Captains Bay could easily be termed Anguilla's most mysterious bay. Here's why I say that: It has been said and sometimes warned that you shouldn't enter the water at Captains Bay much beyond your mid-calf. When I've been at Captains Bay I haven't ever seen any threatening surf but then, you don't necessarily see a riptide either. According to some however, the current at Captains Bay can be treacherous. When I've been at Captains Bay, I watched my friend walk in the the water and float. I stood on the beach and didn't go much more than knee-deep. I could feel a grabbing tug ever so often but nothing that felt threatening. 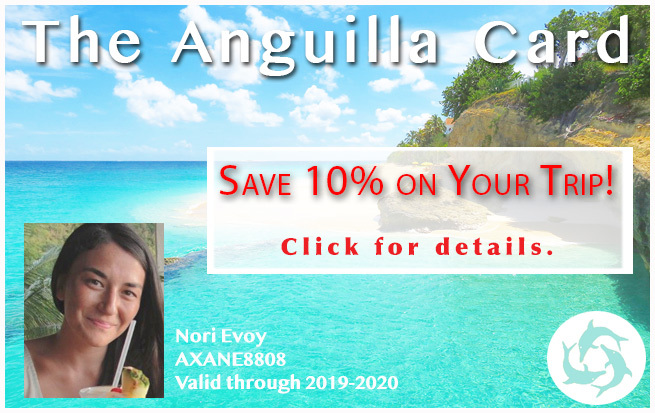 I can also share that some friends, Colleen and Tim, who I met in 2011 and visit Anguilla a couple times a year for vacation, say Captains Bay is their favorite beach. They spend a lot of their time at Captains Bay and in the water there. When they further elaborated to me about snorkeling there, they saw the surprised look on my face... They are the first I've heard say anything about snorkeling at Captains Bay. Turns out they were conversely surprised to hear the warnings about Captains Bay. 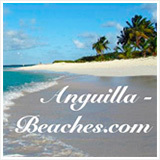 For the purposes of this anguilla-beaches.com webpage, I would tell you to trust your instincts again. To me, the appearance of the shallow beach area is more inviting than perhaps it is. Not having had extensive experience personally, beyond standing in the surf, my advice would have to be a safe, "enter at your own risk". If you don't want to sample the water at Captains Bay, you will have likely perfect conditions a little later in the day at Savannah Bay. Of course, you determine how much time you spend and what you do here... Maybe you have a late morning snooze on the warm sand and quick dip before heading to Windward Point! As you leave Captains Bay, you'll want exit to the south and then weave your way east to northeast. You'll eventually see Windward Point... your next destination. Where you park and set out on foot will be up to you. 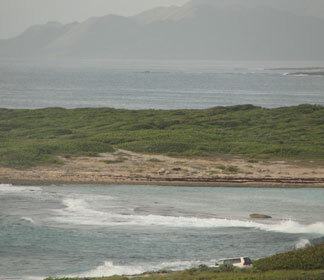 Each time I've been to Windward Point, I park at the end of a road by a beach (Windward Point Bay) on the southern side (with St. Barths and St. Martin in view) and then walk toward the eastern point where "Windward Point" itself is located. 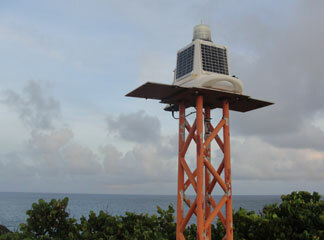 Look for this atop Windward Point! 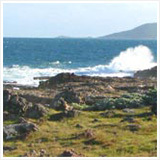 Windward Point really provides quite a stunning vista of the eastern tip of the island. 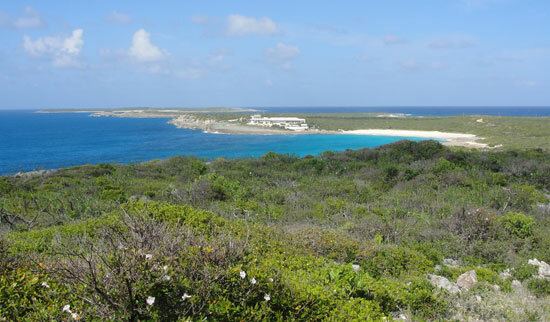 From it, you can see Anguilla's offshore Scrub Island as well as St. Martin. If it's clear you can easily see St. Barths and even St. Kitts. 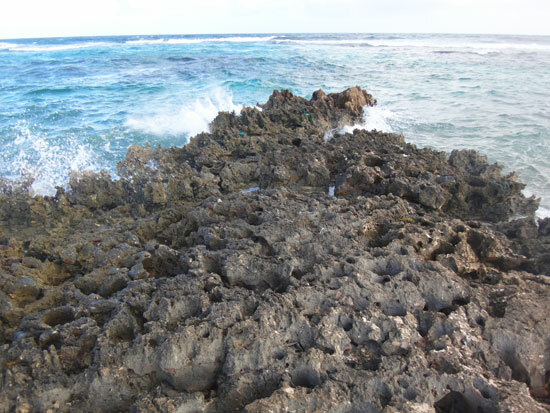 What I love about Windward Point isn't necessarily the view, it's moving around on all different rock forms, hugging the shoreline, climbing up to the top of the point and making my way to what's literally the eastern tip of Anguilla. Another charm of Windward Point is witnessing the fishing boats from Island Harbour come and go. 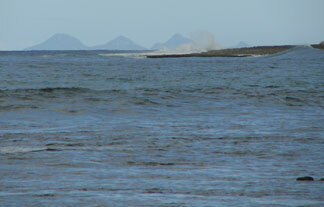 Some go through the channel and south of Scrub Island, way out to catch fish for the island restaurants to serve fresh. The diversity of this area is entertaining in itself. If you walk close to the shoreline, the sound of the ocean can be hypnotically intense. It's grassy and rocky and rugged, yet somehow peaceful. In fact, I've never seen anyone else at Windward Point except for the people I've traveled there with. How's that for peace? Next stop... Savannah Bay and Junks Hole! Just as you found your way to Windward Point, you find your to the area commonly referred to as Junks Hole. 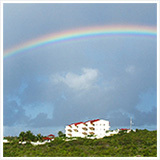 Junks Hole is located on the southeastern end of Anguilla, opposite of northeasterly Captains Bay. 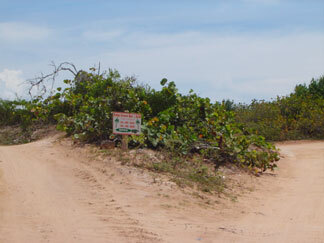 As you leave Windward Point, stick with the road that is closer to the southern (St. Martin) side of the island. 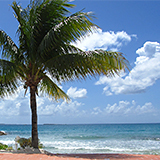 When you are getting close to Junks Hole, you will see a few tall, sparse palms that line Savannah Bay. Once you see a sign that points you toward Nat's Place / Palm Grove Restaurant, stick with them and you can park by the restaurant which sits between Savannah Bay and Junks Hole Bay. Junks Hole has rocky, rugged shoreline shaped by rolling waves and crashing surf of deep, rich, dark cerulean. 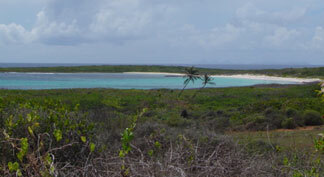 Savannah Bay is more protected and typically calm and is clear turquoise. From time to time, I've seen Savannah Bay appear to have almost no movement close to shore. This makes it a consummate beach for small children or those who like to relax in the water and not need to keep an extra eye out for waves or currents. If you've planned to have lunch at Palm Grove and are hungry when you arrive, go ahead and order. Nat cooks everything to order and you should allow time for a wait. My advise is to place your order, walk toward the beach but hang a left. If you have tough feet, you could do it barefoot but I recommend wearing at least your flip flops so that you can traverse the jagged and rockiest parts that are closer to the sea. There are nice photo opportunities and interesting rocks and shells. Be warned, Junks Hole is named so for a reason. This part of the island receives its fair share of "junk" that washes up from other land masses and from boats. You'll see shoes, laundry detergent bottles, boat and fishing apparatuses, clothing and once I saw a dog carcass. The sea does not discriminate, so you never know what you might see at Junks Hole. It's easy to get carried away looking out at the restless sea and at all of the varied plants and colors that can glow in the right sunlight. Remember you need to turn and put the sea on your left at some point in order to check back with Nat for your food! Nat's johnnycake and rum punch reputation is a good and solid one. His johnnycakes are some of my favorites on the island. I recommend having both, for starters. And if you like a little heat, dip the johnnycake in Nat's flavorful hot sauce. Start with a small touch/dip and work your way to a comfortable heat level. The options for lunch include salad, ribs, chicken, fish, crayfish and lobster. Back to the reason for the location... a Savannah Bay finale. 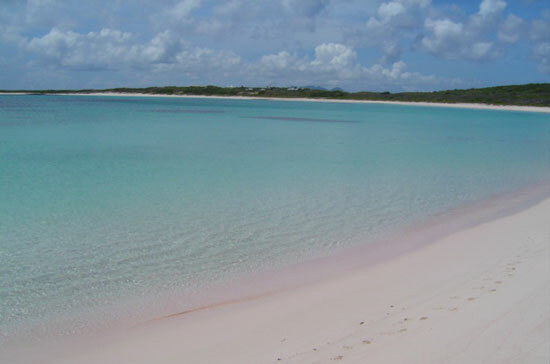 Savannah Bay is one of Anguilla's longer, calmer beaches. It's set apart because it is in the lesser developed East and "off the beaten path". It also (and fortunately) only has one business located on it... Nat's Place. How perfect is that? Snorkel, soak, swim, float, walk, nap or just bake in the sunshine. After all of that natural beauty stimulation, you are bound to be relaxed and ready to chill, right? 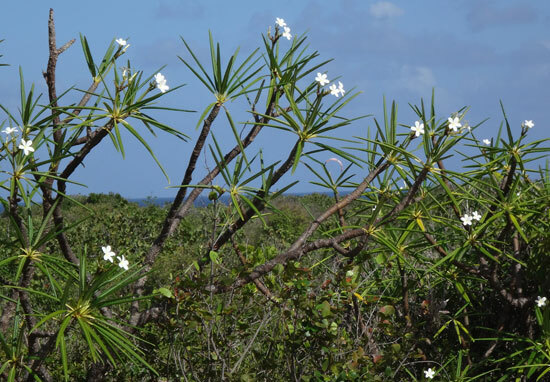 (also known as plumeria)... they are not as abundant the farther West you go! 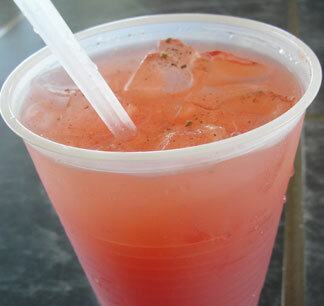 If you are at Savannah for early afternoon and would like a final, less sandy destination for sunset... check your Anguilla map, make your way back to Windward Point Drive and take a right on the Liberty Road and get yourself to On Da Rocks in Island Harbour for a sunset extravaganza. While Island Harbour isn't known to be a sunset destination, an On Da Rocks rooftop sunset can be a heart-warming way to end the day too!